I’ve been participating in Socks with Sarah, verrrrry slowly. Most days I only knitted one row. 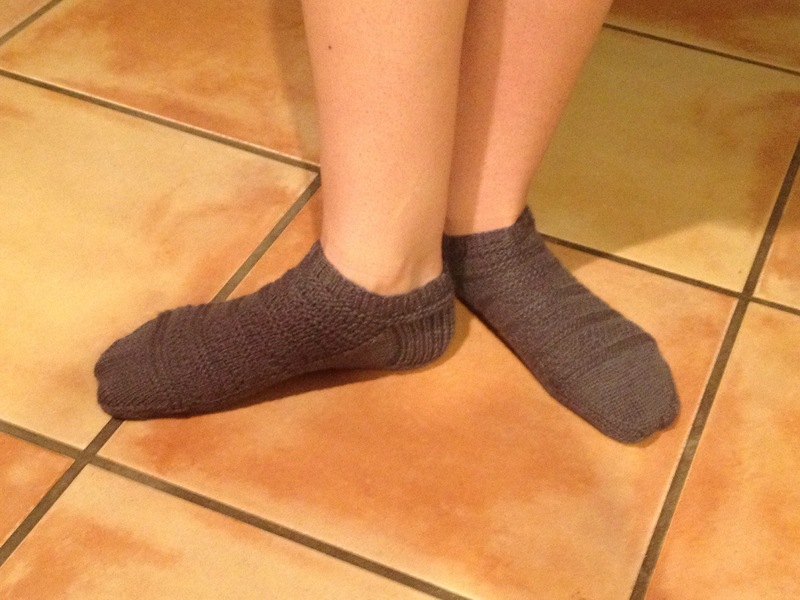 I finally finished my first sock. I’ve been making Tennarisukka ankle socks. 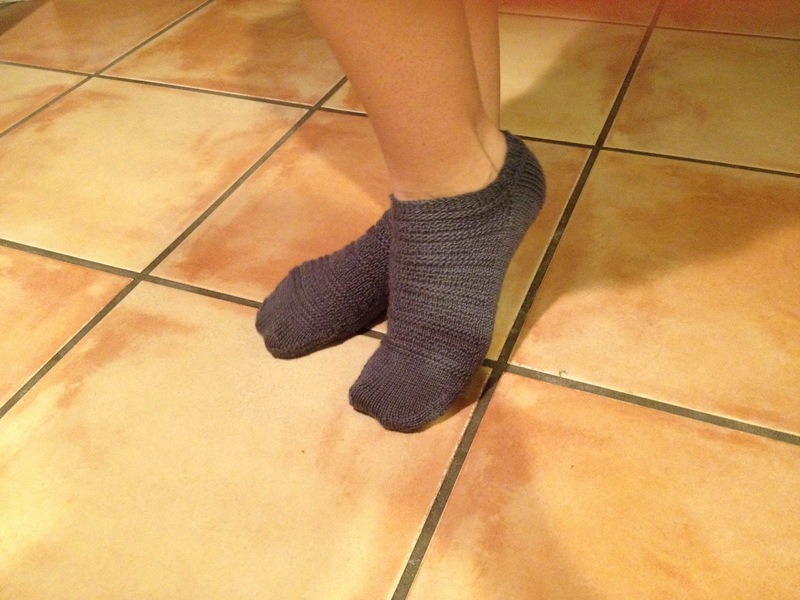 The pattern for the socks is free, and they have really fun texture. They fit really nicely and are much cuter than the white sports socks I wear all the time. These are definitely my new favorite socks. I’ve knitted a ton this week and have nothing finished to show for it. 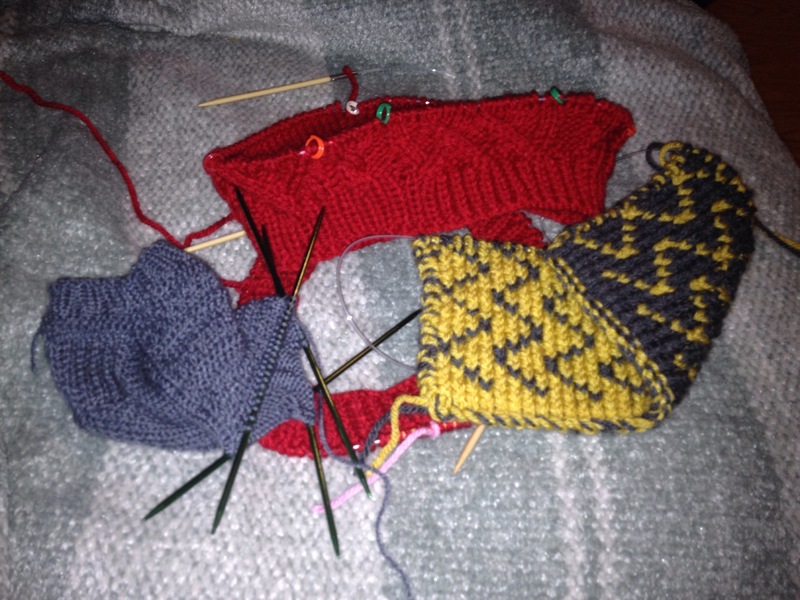 Here is a progress picture of all three of my current knit-a-long (KAL) projects. Socks with Sarah is still going steady. I’ve knit at least one row on the sock everyday that I’ve knitted since January 15. (I think there have only been two days that I haven’t knitted.) I don’t have much to show for it. Sock knitting has tons of tiny stitches and it hasn’t been my main focus. Multiplicity is tons of fun! Learning to double knit was enjoyable, and I love the two sided fabric. Of all knitting techniques, I think cables are still my favorites. Bombshell Shorts lets me cable to my heart’s content. Over the past few years, I’ve opened my Etsy store twice and never sold a single item. Over the last few months, a lot of my friends have requested me to knit or crochet something for them. They almost always ask if I have an Etsy store. I finally ran out of orders, and decided to try Etsy one more time. I gave my shop a facelift and uploaded pictures of all of my recent original projects that I could make quickly if ordered. Check out my new and improved store here. In the mean time, I’m working on designing Alice in Wonderland inspired top hats for the Crochet Crowd’s challenge. My designs are top secret until after the competition is over. I’m also starting two additional knit-a-longs (KALs) in addition to Socks with Sarah. The KALs are hosted by Holla Knits, the same blog that hosted my last KAL. I’m making Multiplicity and Bombshell Shorts over the next three months. Cast on day is today. I’m excited! 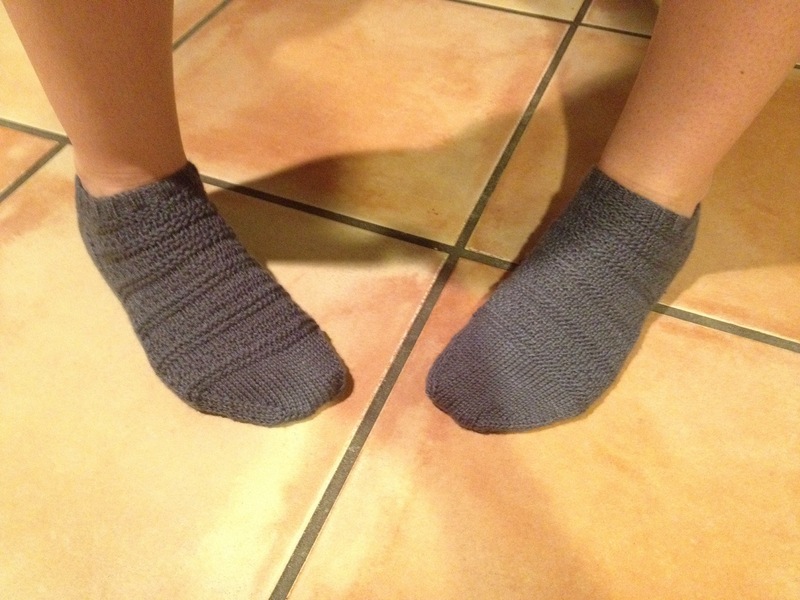 Socks with Sarah is a year-long knit-a-long (KAL). The goal of this KAL is to knit at least a little bit on a sock everyday for the next year. I’ve been wanting to make my sock drawer more exciting for quite some time, but I get a little bored making socks. I decided this would be a good way to make sure I make them. I plan on going slow and steady and making lots of other things. 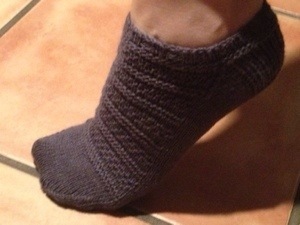 The KAL started today, so I cast on the second sock to match this cutie I made a couple of months ago. The pattern is here.